This is a French brand. They develop practical technology and products without being held back by conventional aesthetics which lack originality and creativity. They provide developed and optimized products with high technology for athletes who have common needs such as riders, runners, skiers and climbers. This is a French brand. They offer their one and only designs that maximize range of motion and comfort for all riders including horse riding lovers and top riders with support stability when riding to build bonds between riders and their horses, the ideal saddle. This is an Italian brand. They develop and manufacture high quality, safe helmets and provide perfectly balanced products with attractive designs and all other aspects (completely Italian made). Their products have elegance and safety that others don't have among all the top sports and leisure brands. This is a Belgian brand. They develop products based on what the riders and horses want such as 'a long chaps….'. They are committed to a unified management for all processes including carefully selected leather while focussing on product quality for both riders and horses. This is an Italian brand. Since being founded in 1924, they have stuck with completely handmade products and still do. Fabbri's boots have characteristics both in terms of its technology and structure which set it apart from other products. The leathers used in their products are tannery processed and exclusively used in their products, the parts are made from only natural materials and they provide the best quality products. This is a Canadian brand. 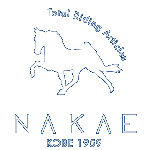 It is a family owned company, mainly run by the Ogilvy couple and it is chosen by famous top riders. They don't just make saddle pads, but they reduce friction, give comfort for both riders and horses plus they provide high quality products such as stein-resistant and machine washable.